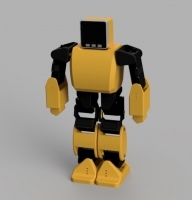 I am making a biped robot using M5Stack. The other day, I introduced a sketch that drives a servo. In fact, that sketch was taking measures against the noise from the speaker. Since this robot drives 18 servos, it uses ESP32Servo library besides PAC9685 servo driver. 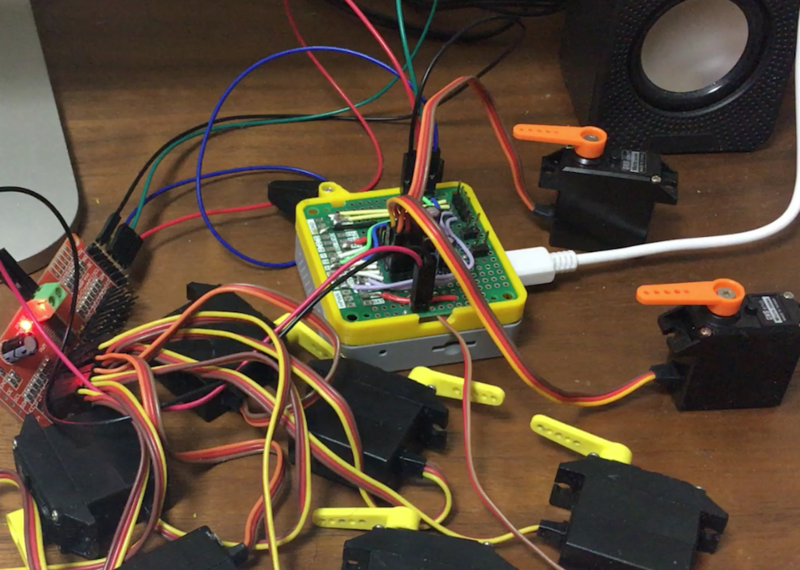 However, when I used this ESP32Servo library, loud noise came out from the speakers. 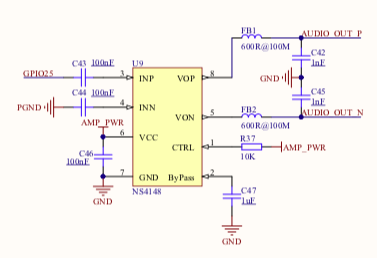 When I look at the schematic, the M5Stack's speaker seems to make a sound by inputting from the EPS32 GPIO 25 to the NS4148 IC. Using the EPS32Servo library, it is estimated that coupling occurs somewhere on the M5Stack and noise is propagated and the speaker is sounding. When I check it on the net, it seems that a method to reduce noise by “0” output from GPIO 25 with DAC is effective. The sound is quite small. But there is still noise like a bird's song. In this state, if I further shorted GPIO25 to GND, the sound completely disappeared. But in the future I decided to not short-circuit because I wanted M5Stack to speak.